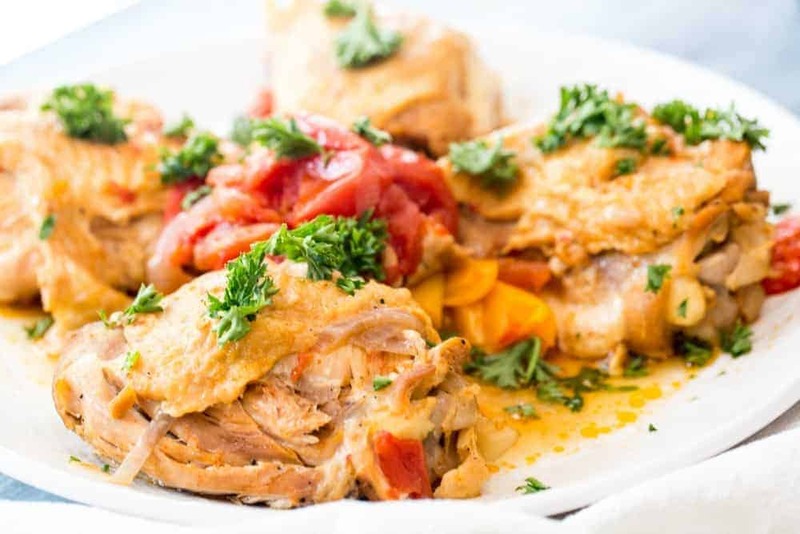 Instant Pot Chicken Cacciatore is such a simple recipe that packs a lot of flavor and leaves everyone thinking you put much more effort into preparing it than you actually need to. 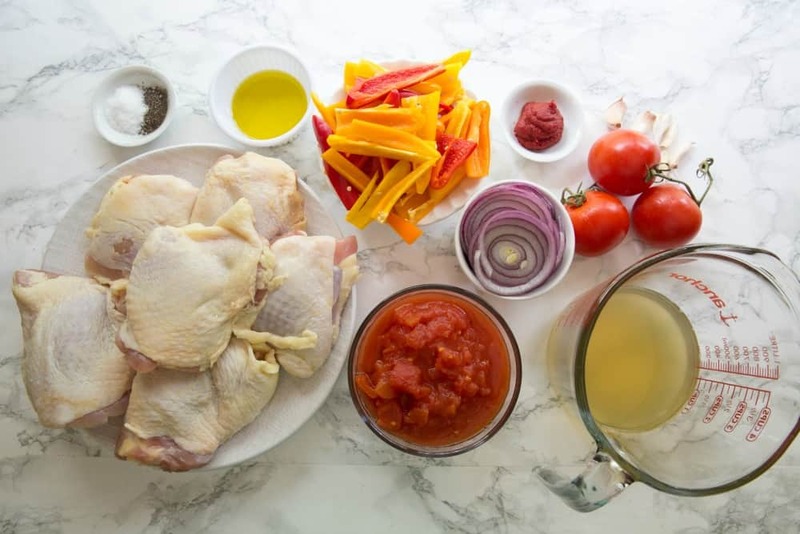 Today I am sharing a way to make a simple chicken cacciatore recipe even simpler! 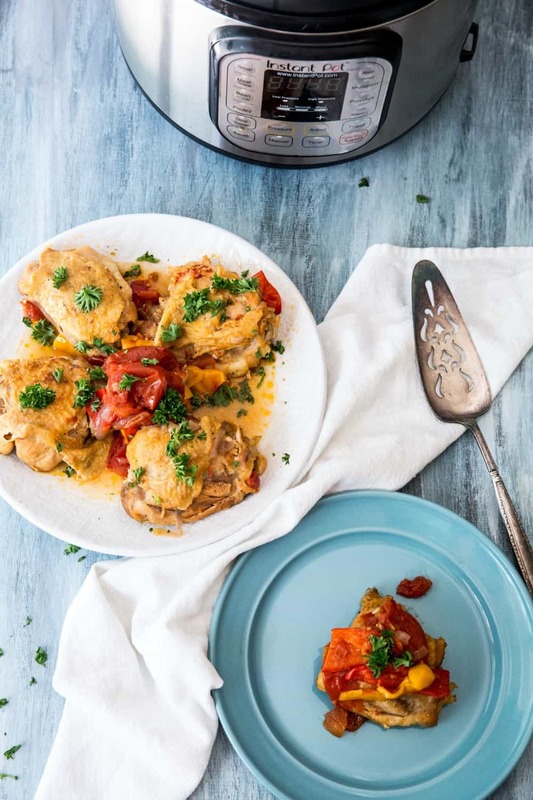 Using your Instant Pot is a great way to save even more time and this Instant Pot Chicken Cacciatore is one for the record books if you ask me. 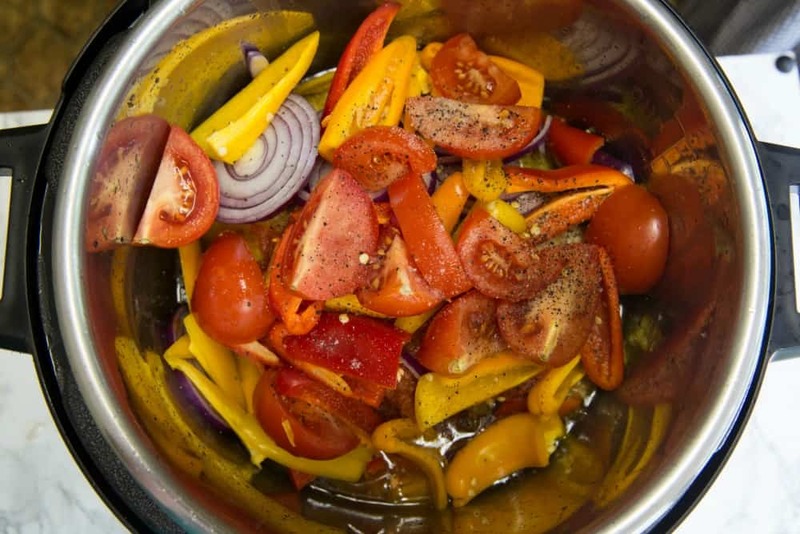 I love when I find a recipe that my family loves and doesn’t require much time or effort on my part. Let’s face it, we are all super busy. 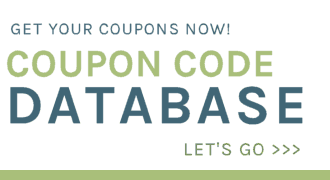 That’s why I love my Instant Pot and finding new Instant Pot recipes to add to my collection. 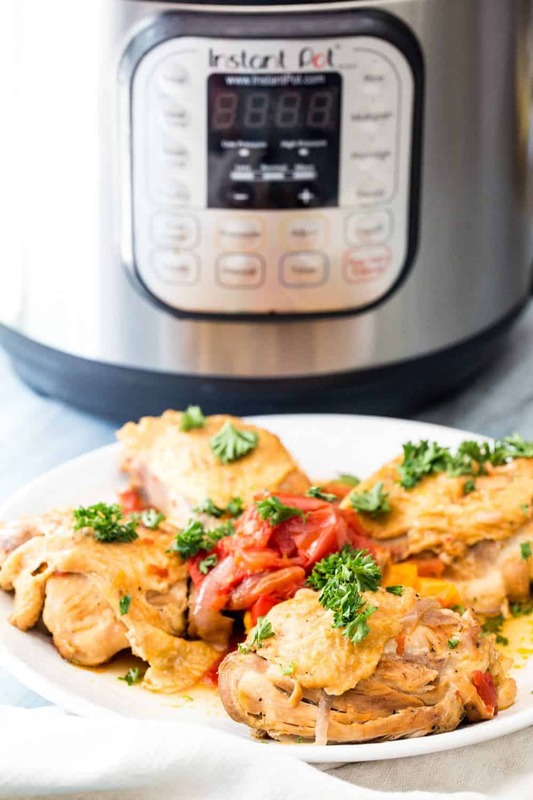 This Instant Pot Chicken Cacciatore Recipe is delicious and one recipe that I love to make often. 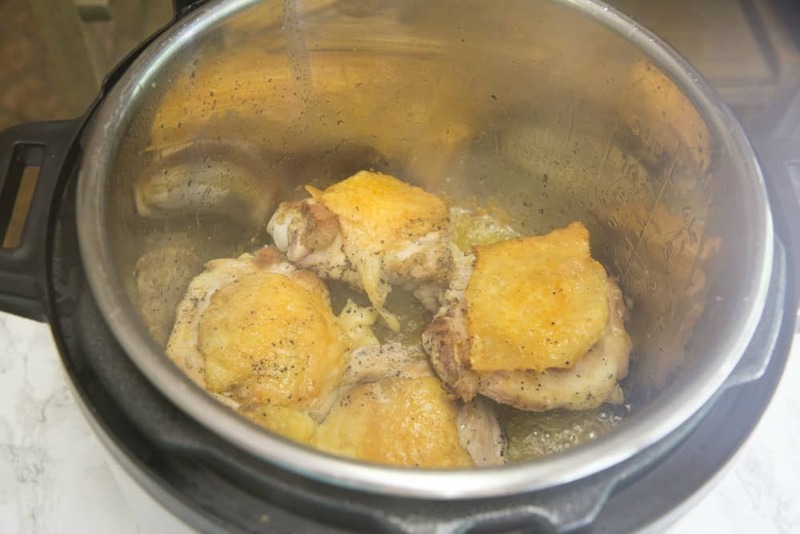 Although this chicken cacciatore recipe calls for chicken thighs, I often make it using chicken breast, and consider it to be one of the top Instant Pot chicken breast recipes that I have tried. Place 1 tbsp. 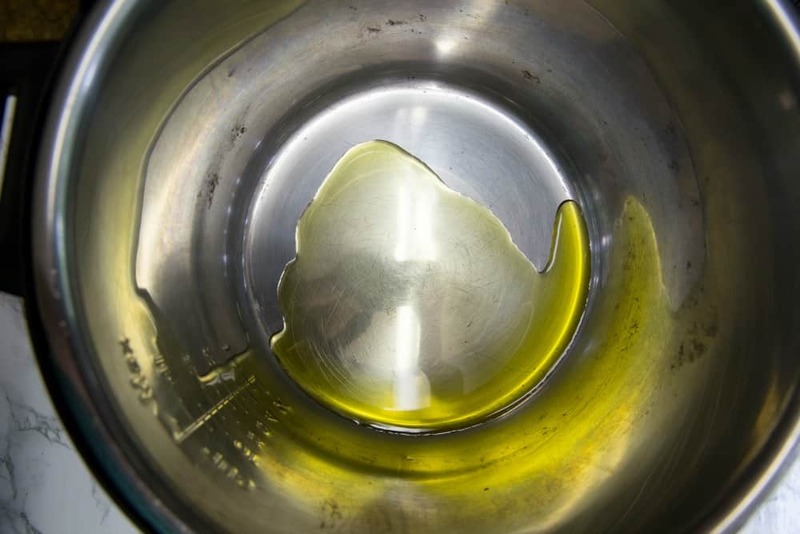 of oil in the Instant Pot pot. Place timer to saute setting. 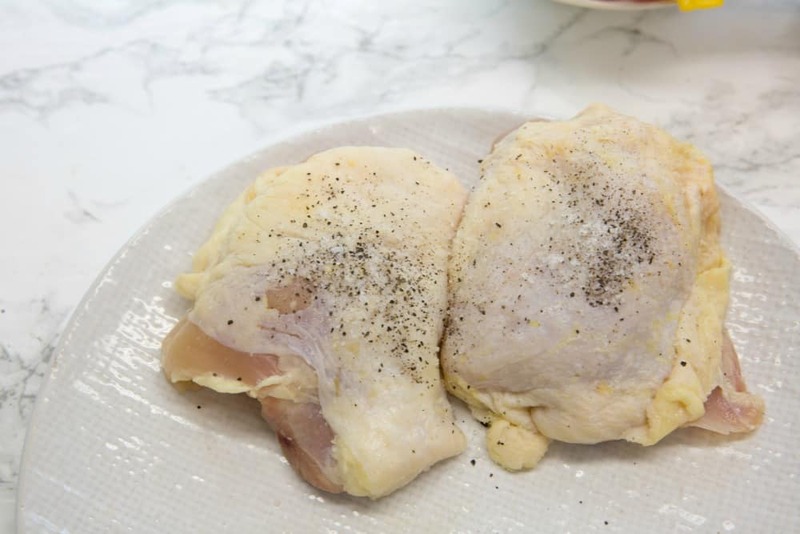 Brown on both sides of chicken. Place 3 cloves of garlic in pot and add chicken broth. Turn timer to 15 minutes. 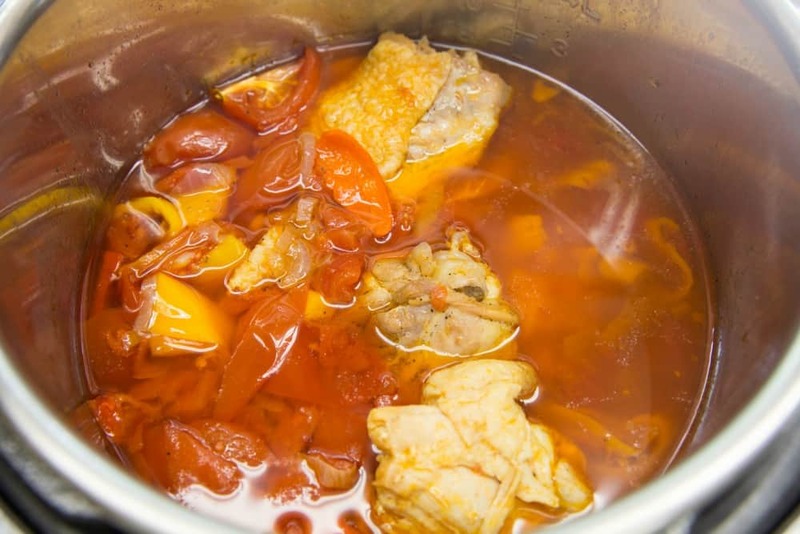 You could serve this with riced cauliflower or noodles of your choice, or simply eat it all by itself. SO good!